Now that your loyalty program is all set up and ready to go, it’s time to promote it to get its greatest #LoyaltySuccess. Your staff are one of the biggest determinants of your loyalty program’s success. From a consumer’s perspective, staff are your store’s personality! Their friendliness, helpfulness, retail skills and enthusiasm are picked up by customers and can make or break their shopping experience. 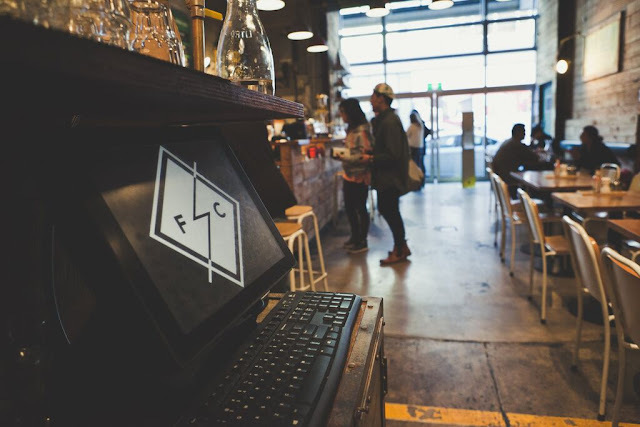 Staff have the biggest window of opportunity to interact with customers and introduce your loyalty program. Making sure your staff feel confident to approach customers, ask them to join your loyalty program, and add their details into your point-of-sale is really important to your loyalty program success. Take the time to introduce your loyalty program to your staff and have a run through. Make sure that they understand how to add customers, reward points and redeem rewards to create the most seamless experience for your customers. If you need assistance in training your staff, check out some of these staff guides for your staff to refer to and get excited about your loyalty program. A sign-up kiosk can be a cool additional tool to get more customers to sign-up in-store. Capture your customers attention and create another engagement interaction for your customers. Set up a space in your store. This could be at your counter, with an iPad or tablet. Having a counter kiosk allows customers to sign up to your loyalty program themselves. And when a customer signs up through the kiosk, their details will be added to your point-of-sale automatically, within minutes. Counter kiosks and displays can also prompt customers to ask about your loyalty program and remind your staff to sign-up customers. Visual cues can be an effective way to increase the knowledge of your loyalty program for potential customers and loyalty customers. Displays can be as simple as letting your customers know you have a loyalty program, or you could even include your rewards that they can work towards. In your Collect Loyalty dashboard, under your Customer portal’s ‘Sign-up Kiosk' you will find a link that you can use on an iPad or tablet. Social media is a great way to engage with your customers and get existing and potential followers to join your loyalty program. Simply take the ‘Sign-up & Log-in Link’ from your customer portal in your loyalty dashboard. Quick Tip: Social posts with images have a higher engagement rate than those posts without. 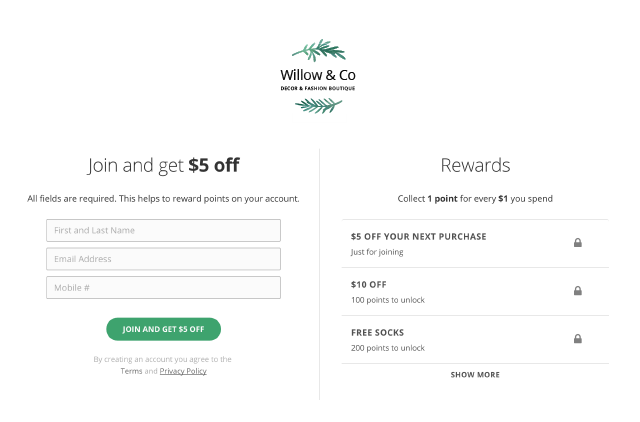 If you have a website, adding a widget to join your loyalty program is a great idea. A web widget creates an easy portal for your customers to sign-up to your loyalty program straight from your website. All you need is the code under ‘website widget' on your customer portal. Simply send the person in charge of your website the code and tell them to place it before the </body> tag of your website. They can work their magic from there. Facebook business pages can help increase your sales, brand awareness and connect with your customers. Facebook tabs take what business pages have to offer one step further. 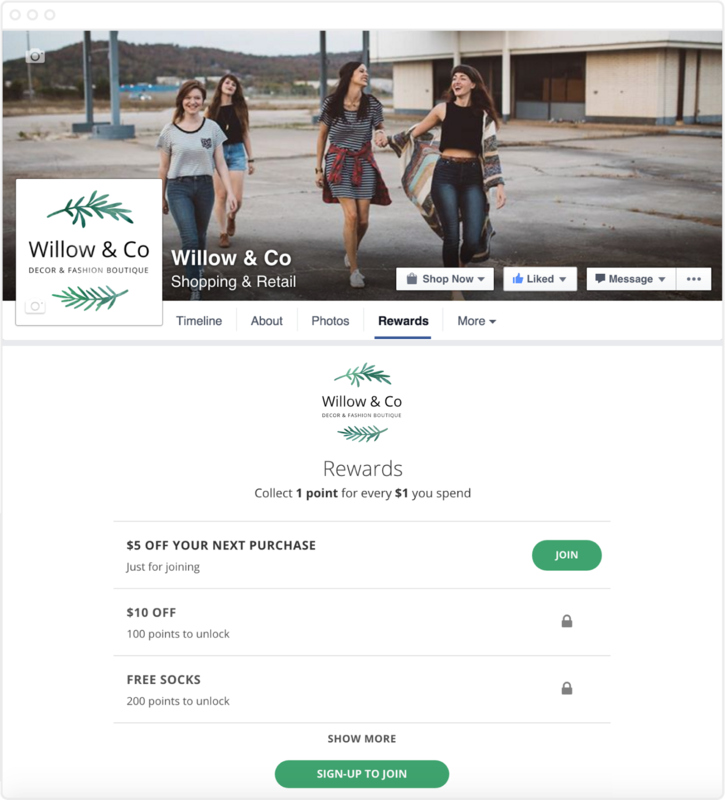 Turn passive visitors into loyalty customers with a Loyalty and Referral Facebook Tab, that includes a place to sign-up, check their points balance and see what rewards they can unlock. Check out this step-by-step guide (with pictures) on how to add your own Facebook Tab to your Facebook business page. Quick Tip: Use a free tool, like Woobox, to create your Facebook tab. Once you’ve got your loyalty program up and running, it’s time to share it with your customers.